It can be hard to add some personality to a dingy college apartment- especially when you’re working on a college budget. But don’t worry! There are tons of options out there if you’re looking to spruce up your space a bit. Here are a few to get you started! Photos are super cheap to print, and they make for some great decoration! 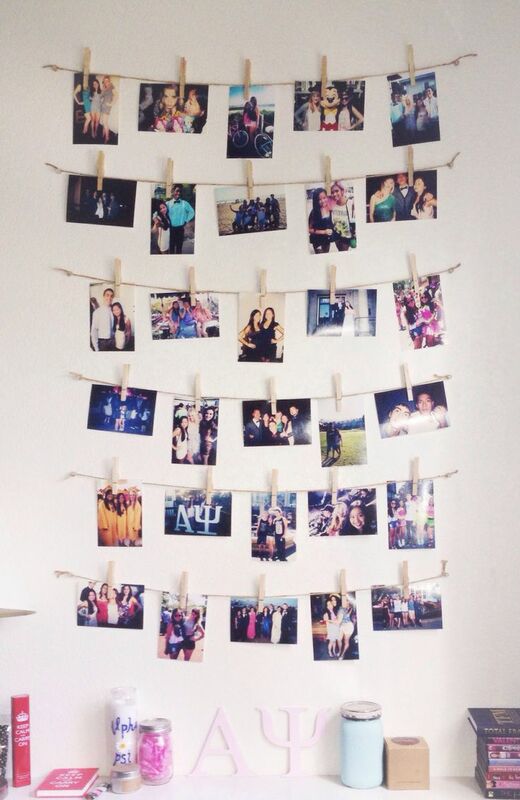 Whether it be all your favorite roomie memories taped up on your living room wall, or reminders of family and friends in your room, collages are easy to make and a great way to give a space some color and interest. Frame them with washi tape or put them in an artsy layout and no one will even care you literally taped photos to your wall and called it a day. Succulents are having a moment right now, but they’re not the only plants that can help liven up your space! A lot of plants aren’t super expensive, and some you can even buy seeds for and grow your own for really cheap! They make a place feel more sophisticated and give you something to take care of through the year! I’m the first to admit, my Pinterest DIY’s rarely (never) go as planned. That being said, there are plenty of beginner-level projects you can take on! You can paint your favorite quote on a canvas or paint wooden letters to represent your roomie’s and your initials. There are endless easy, college-budget-friendly crafts out there! Tapestries are a super simple way to take up a whole lot of wall space. Pick one up on Amazon and your apartment will be feeling more like you in no time. There are a million color and design options out there so you can find the perfect one for you! Flags are also a great way to show some school spirit and create a fun vibe in your apartment! 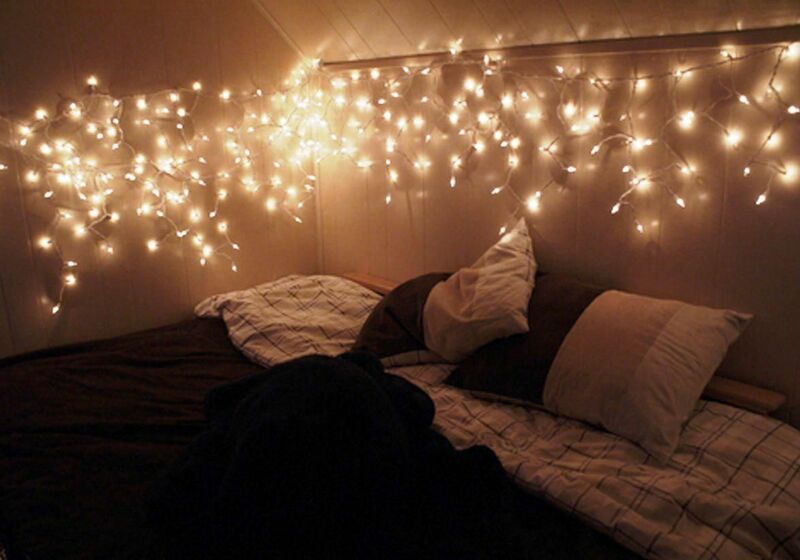 Okay, this might seem a little weird, but buying some fairy lights and putting them up can really change the atmosphere. Most apartments have pretty crappy lighting that can make the space feel a little cold and not very homey. Some warm-toned lights can totally transform your apartment into a cozy retreat! Pillows are a nice little way to make a room look a lot more put together. College apartments are so hard to make look comfy and cute, but pillows are the solution! Amazon has tons of different throw pillow options for pretty cheap. It’s a really easy way to take your space to the next level and establish that awesome color scheme you were going for! 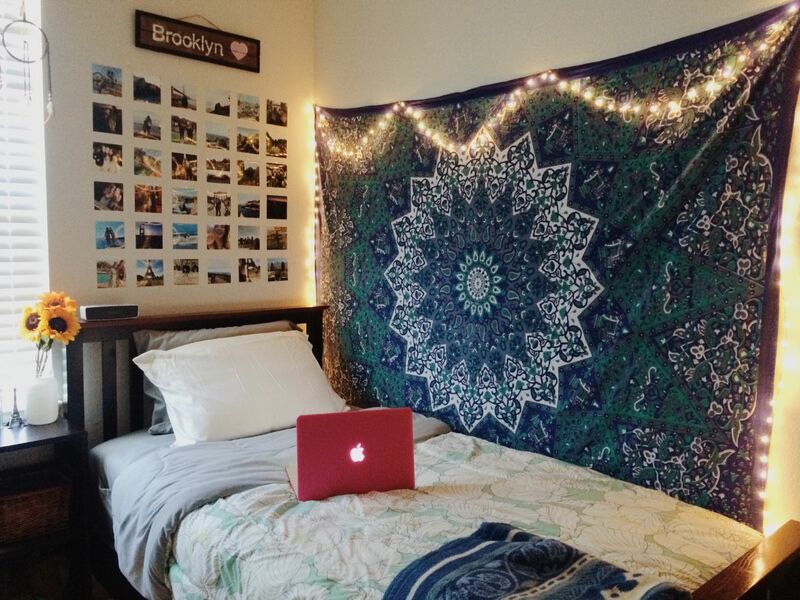 Your college apartment doesn’t have to feel cold and dingy! There are plenty of budget-friendly options out there if you’re trying to make your space look a little cuter and feel a little cozier. These options are just the beginning, if you keep looking there are plenty of ways to make your home for the year feel just the way you want!